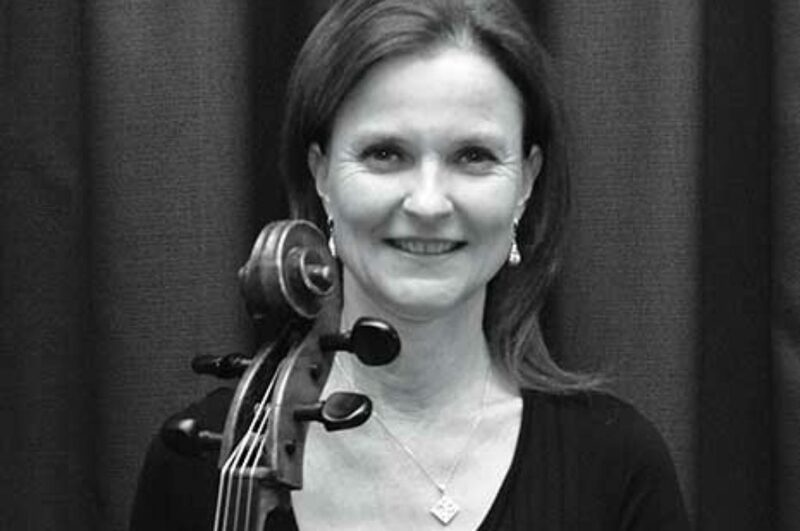 Kate Morgan is a freelance cellist after being a regular member of the Sydney Philharmonia, Sydney Chamber Choir, Brandenburg Orchestra and the Australian Chamber Orchestra. She spent 14 years playing with the Australian Opera and Ballet Orchestra on many occasions she took a co-leadership role including covering for the principal cellist. Her Baroque expertise has led her to being involved in both the Sydney and Adelaide Festivals, in small chamber groups and as soloist. Other festivals include the Barossa, the Huntingdon and the Melbourne Early Music Festival. She regulary flies to Adelaide to perform with Musica da Camera, an Adelaide based Baroque Trio with whom she has toured to Hong Kong. She has taken part in many live broadcasts for ABC Classic FM, both as soloist and in small ensembles – for example, “Sunday Live”. Kate has been guest principal cellist with the Royal Carl Rosa Opera Company and on two occasions with the Royal Ballet Covent Garden, as well as other visiting opera companies. Her theatre credits include a collaboration with Sarah de Jong, performing solo cello for a number of plays, for example Salt starring Ruth Cracknell.